Now I attend council at polytechnic. 1hr(2:30pm) ago we loss power. Still they didn't response. There didn't use generator also.. here we are facing power issue can you consider this message. Thank you…. Yesterday I completed my certificate verification but still I didn't get user id and password whom shall I consult? 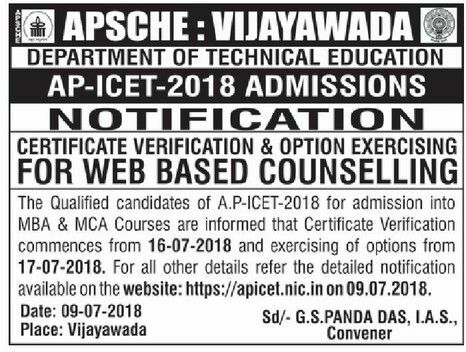 Please tell me icet-ap counselling dates..my rank is 43172..
35097 na rank ki counselling appudu sir …. Tell us exact dates counseling.My rank is 7864 in which date it gonna be held on.